Have you made a decision about drink in Christmas? This is Kawaii Shiroi Litchi Sparkling, loved by people for juicy mouthfeel. Juicy, milky, and refresh finish. It is perfectly suitable for meal, especially with somebody you cherish. The next is Shiki GRAPEFRUIT SPARKLING of Shiki series. Fine bubbles and strong carbonic acid help release luxurious fragrance. It is just like that you are tasting succulent, sweet and sour grapefruit. Freshness made it easy to drink. 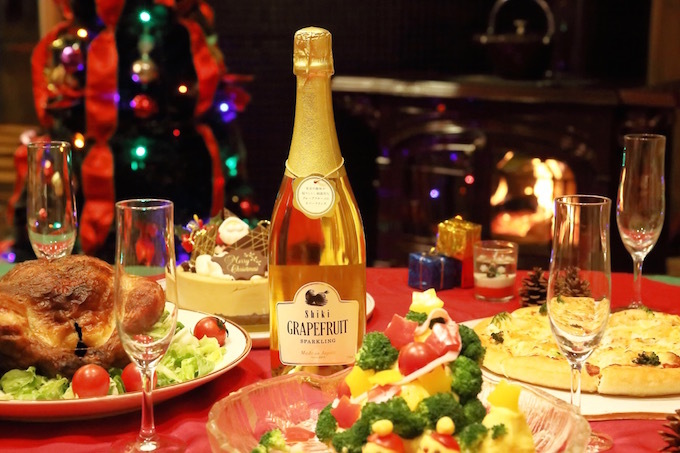 Share Shiki GRAPEFRUIT SPARKLING in Christmas Party with friends. The last one is Ichidai Misen Sparkling, Sake Sparkling. Citrus-like fragrance with charming banquet as soft as muscat or peach. Our unique carbonation technique made it no less fine bubble and strong carbonic acid than champagne. 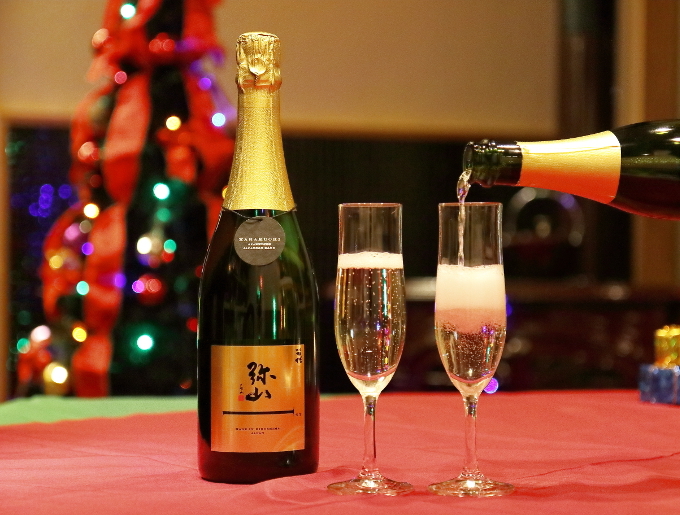 Cheering with Ichidai Misen Sparkling in formal Christmas Party will be your choice. Three proposals match with 3 different scenes. I wish you a wonderful Christmas with the one you loved, friends, colleges, drinking sparkling. Mary Christmas!